For the month of February 2019 we are running a special. Pay for two nights and get the third night free. For example 2 nights will cost R3000 x 2 = R6 000.00. The third night is absolutely free. Valid for all stays during February 2019. 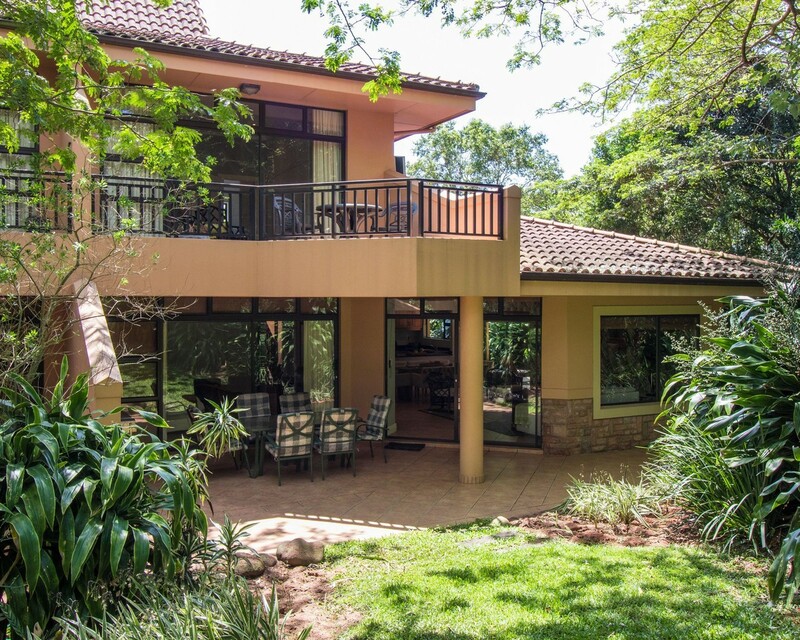 This spacious Zimbali Chalet is located within the heart of the Zimbali Forest Estate of the internationally acclaimed Zimbali Coastal Resort. The private and tranquil setting, with beautifully landscaped gardens provide a welcome retreat from modern living. The open plan kitchen serves the dining and lounge areas which lead onto an under-cover patio - perfect for relaxing, braaing and enjoying the pristine surrounds and extraordinary birdlife. Upstairs, a large main bedroom with en suite bathroom and balcony provide private forest views. Downstairs, two bedrooms (one en suite) is perfect for extended families. Guests have access to complex swimming pool, in addition these chalets are located close to the general Zimbali Resort swimming pools with access to the beach. We do not accept cheques. For deposit refund purposes it is vital that all banking details are provided. Rates quoted are per unit. Rates are subject to change without prior notice. Holiday Accommodation bookings are subject to availability and Zimbali Homes's Terms & Conditions. Credit card and foreign transactions attract additional bank fees. This will be for the guests account.